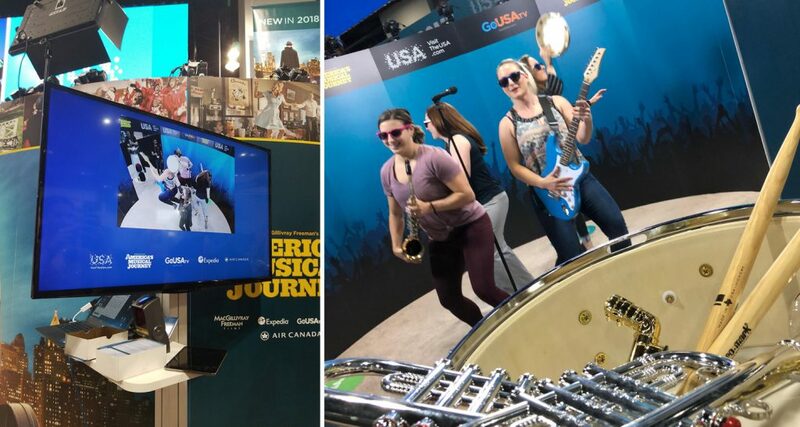 Oh, sure, twist our arms—we’ll hop on a plane to anywhere-you-name to create unforgettable exhibit experiences that help you engage with your target audiences. 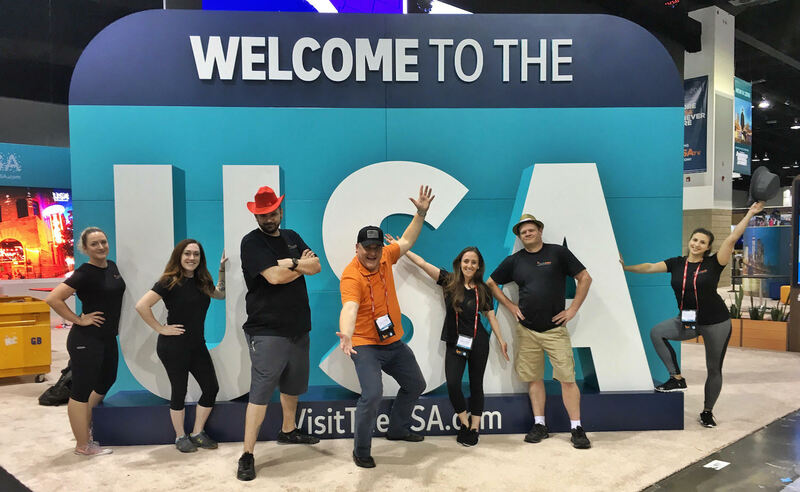 This time, our team traveled to Denver, Colorado, for the 50th anniversary of IPW, the world’s leading travel trade show, organized by the U.S. Travel Association. It’s NB’s sixth year representing our client, Brand USA, at IPW. For us, IPW—like many trade shows—is a chance to think strategically and work hard to produce tangible results. We had plenty of boots on the ground to bring this creative dream to life, moving from rendering to real-life creation of an eye-catching 80’ x 50’ exhibit. 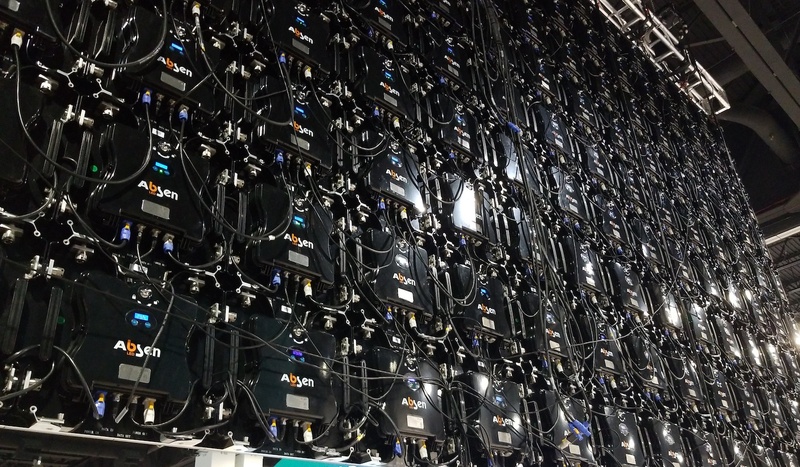 To design, fabricate, install, and provide on-site support for a trade show booth of this scale, you need a team who can deliver results and bring the fun. How many people does it take to hang a 55’ x 15’ suspended video screen from the ceiling? The world may never know. We’re in the market of granting wishes. Brand USA’s wish list? 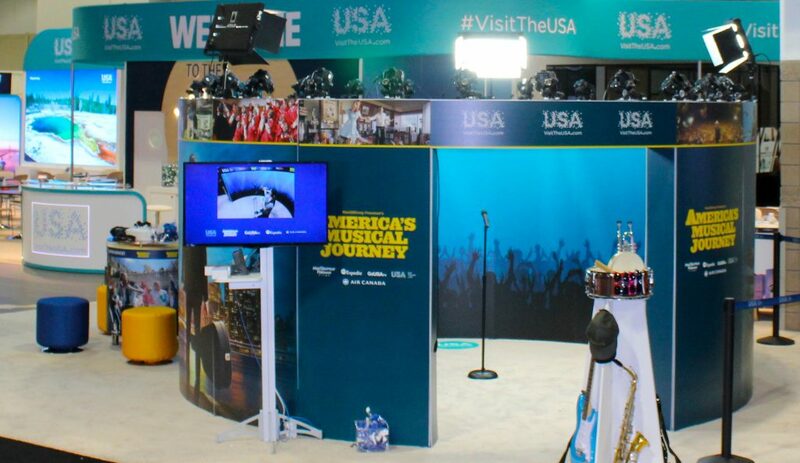 Build a booth that draws in visitors—and then make them want to stick around to understand their mission—and better yet, gets them involved via networking and partnerships. We provided meeting space, engaging videos, a virtual reality zone, a photo op where visitors could capture the moment, and so much more. 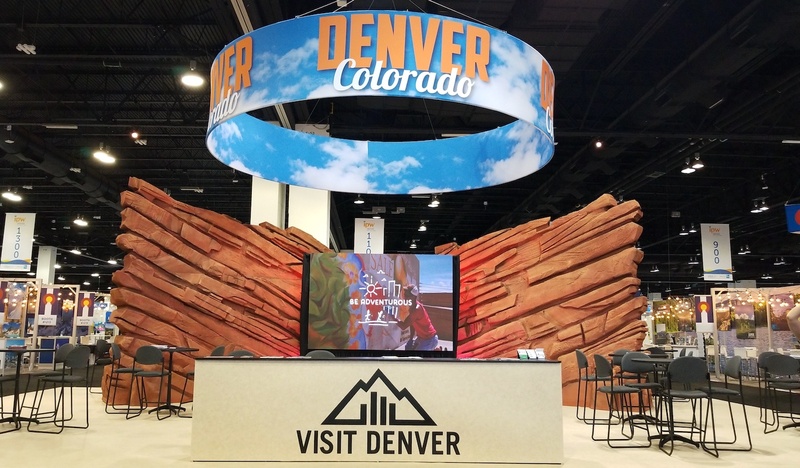 Denver, the sponsor city, positioned its booth at the entrance to the hall, with a larger-than-life design that emulated the Red Rocks Amphitheatre and set the tone for the whole shebang. 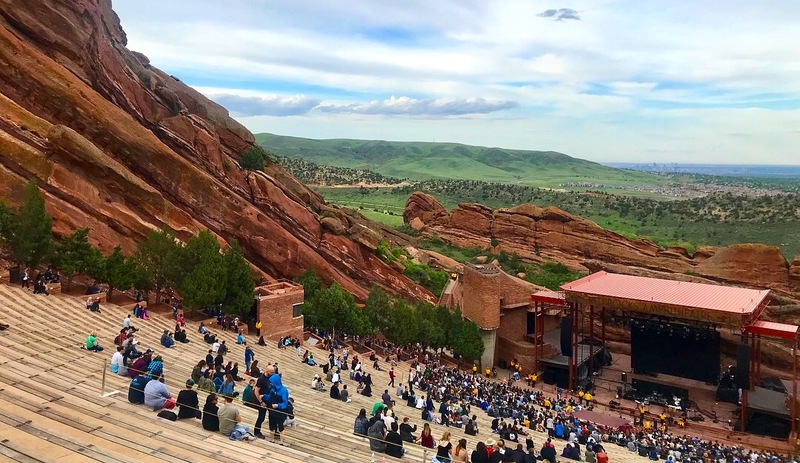 NB’s senior project manager was seriously inspired—she headed to Red Rocks for a night to remember. And that’s a wrap. Until next time, keep adding to your own creative wish list. When you’re ready to bring those dreams to life and create a high-impact exhibit that will steal the show, don’t be shy.